You’ve been asking for it and now it’s here! 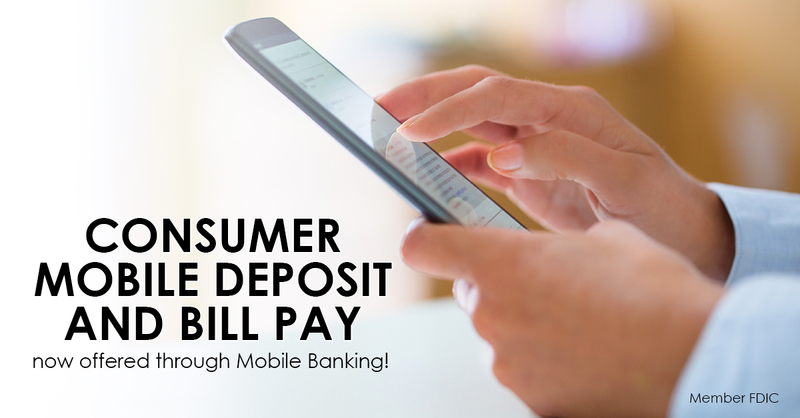 Mobile deposit and bill pay for consumer customers is now available through the Merchants Bank Mobile App. What do you need to get started? Download the Merchants Bank Mobile Banking app on your phone. Have questions about our Mobile Banking app or the Mobile Deposit and Bill Pay features? Contact our Electronic Banking Department at 1-866-496-0522.